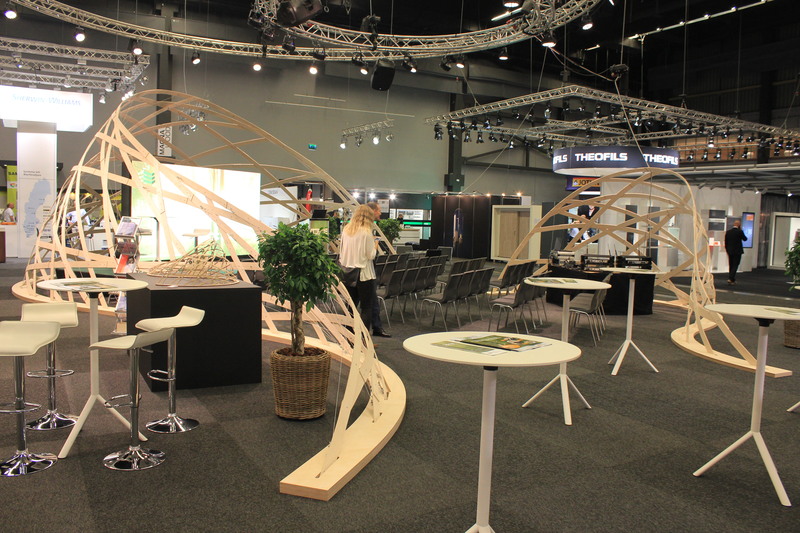 The Wood Fusion Pavilion 2018 has been exhibited at the Wood Products & Technology fair in Gothenburg 28-31 August. 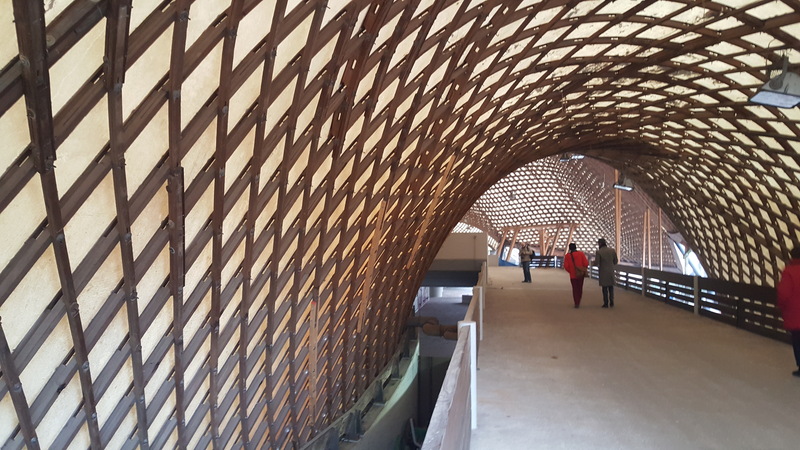 The pavilion explores the possibility of strengthening an actively bent geodesic timber gridshell by the addition of pre-stressing cables. 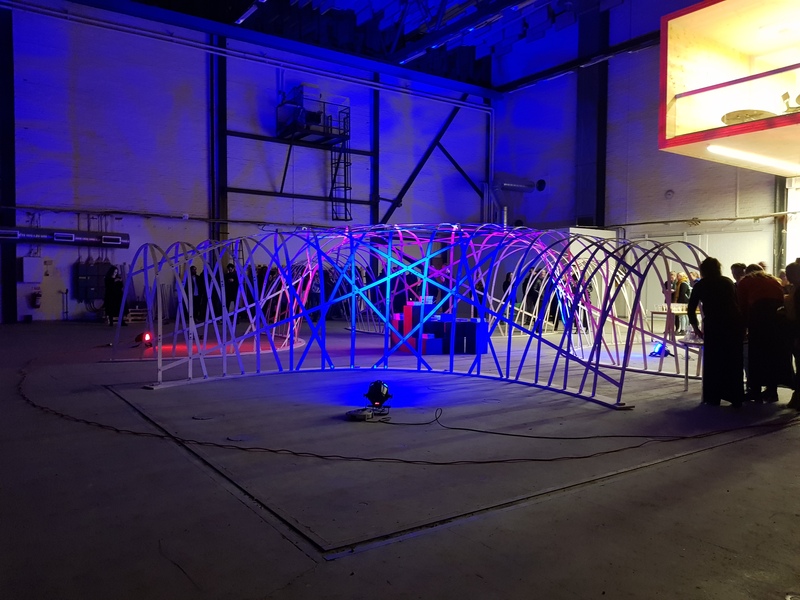 Emil Adiels and Isak Näslund hosted a workshop where a geodesic gridshell was constructed. Chris Williams and Alexander Sehlström attended an Expert’s discussion on the Mannheim Multihalle, built in 1974, and the upcoming refurbishment scheme.